Doggerland, the path that mammoths dared to tread. ­ crumbling into sea and sand. Anmol is our Poetics host this week, with an Annie Dillard quote and a variety of poems, including ‘The Map’ by Elizabeth Bishop, my personal favourite of his selection. Anmol asks us to explore geography in our poems and says that there are different ways of going about it: we can explore and inculcate the various subjects within the science of geography like meteorology, climatology, ecology, environment, culture, population, development, and human-nature relationship; we can write about our city/state/province/region; we can combine different elements and ideas and map out our own geography of who we are and where we stand; and it is quite open-ended. Posted in Poems about Norfolk. Tagged Doggerland, dverse Poets Pub, Geography, Imaginary Garden with Real Toads, Mammoth, North Norfolk coast, Tuesday Platform, Tuesday Poetics. our inheritance firmly to our chests.” but I’m being very picky saying that. I love this, it so reminds me of my father and how he used to tell me about the processes of time, of erosion of frost and water… (and also glaciers)… and it all ends in the sea. Thanks you,Björn. I would have loved a father who talked to me about geography rather than sport all the time. 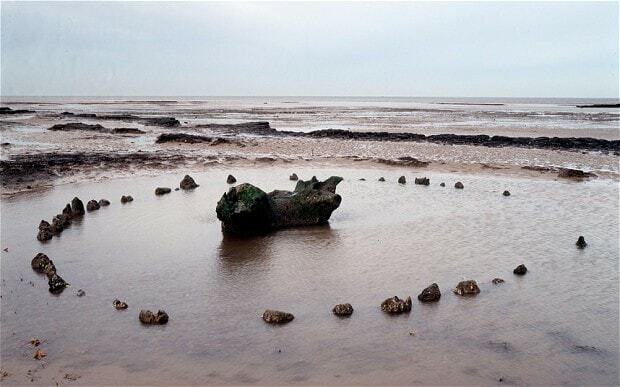 Some people think that Doggerland was Atlantis – and it’s no myth. There are remains of forests below the North Sea and mammoth skeletons have been found along the North Norfolk coast! I feel so ignorant! I never knew this. Don’t feel ignorant, Merril, There’s so much I don’t know – I only know about this because I live here! That is exciting and scary at the same time. When you say mammoth skeletons, are they human or humanoid skeletons?? They are skeletons of actual mammoths that roamed our coastline over 10,000 years ago when the British Isles was still attached to the rest of Europe. There’s pretty much a whole one at Norwich Castle Museum. They keep finding all sorts of wonderful things. I like the way your poem disintegrates as it gets to the end, the sea washing it away. Thank you, Jane. We lose a bit of the Norfolk coastline every day. So sad but inevitable with climate change. You are such a wordmaster, your “easel” produces colorful masterpieces that are a joy to read. You snagged me at /dithering on mouldering marsh and collapsing dune/. You, too, chose the sea, and the cycle of water as a launching pad; nicely done. Ah, the sea is claiming so much these days…This is rich with visuals and in it I can feel the erosion of mankind also. Thank you! This one had to be a shape poem, Anmol – it dictated the shape itself! The disappearance of Doggerland is the reason we have no native elephants in the UK. I would love to see this: Doggerland, the path that mammoths dared to tread. A feast for the senses from the mouldering marsh and collapsing dune, to the green countryside. Looks so peaceful Kim. The remains of forests lie under the North Sea off the Norfolk coast. It was once teeming with mammoths and other animals and now its teeming with fish. When things are not easy to see, the shortsighted refuse to look. There is a mourful watning locked in this. I like it Kim! Nature gives us massive hints – humans are just not paying attention. Erosion is such a real issue… I saw miles of coastline with sandbags in Vietnam… we are all going to be swallowed up at this rate.. I can’t understand why the world’s politicians aren’t more concerned that Nature is sending us a message. Doggerland! Oh my, how wonderfully you brought this ancient land to life with your amazing sensory imagery, and sound qualities. Such a satisfying read altogether. The whole poem — its tone and shape and flow of images — slides back into the sea, as if what we have is only partially given and eventually reclaimed. Nature gives and takes away. Such an interesting poem, Kim–the shape and the words, crumbling into the sea. I like how the line about pigments could refer to rocks, people, or animals–so nature and civilizations both crumbling. I love that you spotted that about the pigmentation! It stood out to me! Love this poem. And I love our Norfolk coastline. It needs to be preserved or it will be lost forever. Thank you, Julie. Norfolk is an amazing place. There is a certain dignity to this decomposition that makes the piece feel all the more sad. Beautiful imagery and construction. Thank you Kerfe. It’s so evident to all of us, so why aren’t the powers that be taking it more seriously? A question I ask myself all the time.